When sewing a blouse or a jacket, the most difficult time is when you need to assemble and attach the collar. 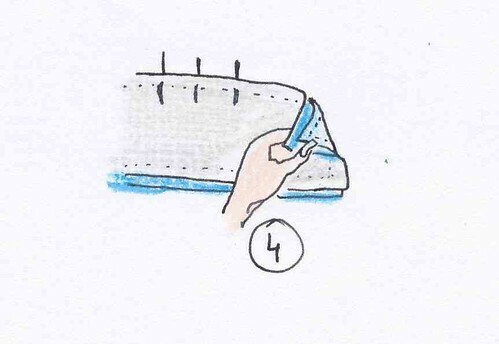 You might invoke the Gods of sewing but it seems they have become deaf because you cannot skip this step. Every tiny error will be highly visible, so to avoid the pressure, you can already get prepared for a breathing exercise generally advised before birth giving. The collar should fit perfectly in the garment neckline. 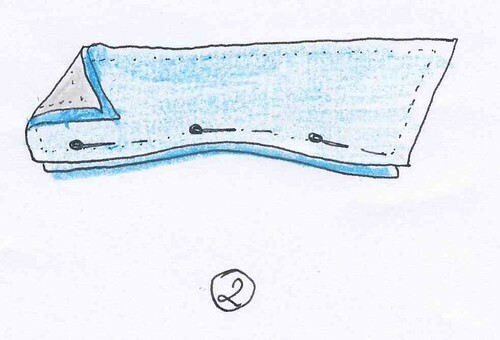 If during the fitting you change the neckline, you must change the collar accordingly. And especially to carefully report all the notches (mid back, shoulder) on the collar and the neckline. In order to have an impeccable collar, the upper collar is a little longer than the under collar. This will prevent corners getting up once the collar is attached. This extra length varies from one type of collar to another (folded or flat collar) and the thickness of the fabric. Generally, the collar is sewn and attached after the shoulder seams and before the side seams. Interline the wrong side of the collar, either the upper collar or both the collar sides. 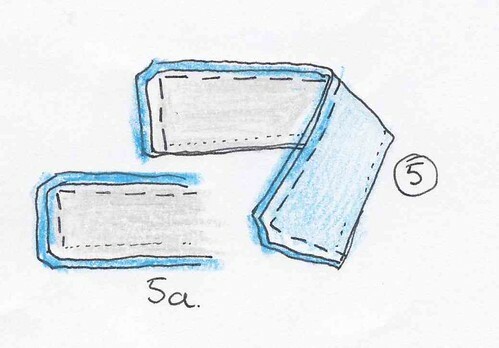 The fusible interlining should have the same shape and size as your collar. 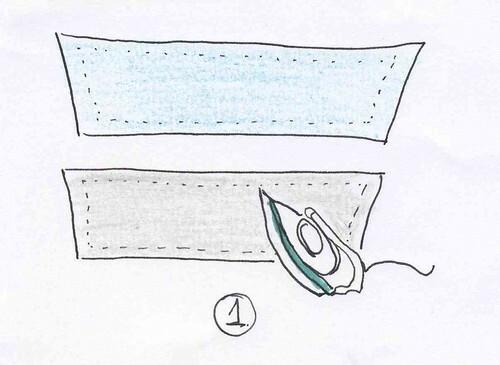 But before ironing the interlining, erase all your felt pen marks from the collar fabric and replace them once the collar is cooled. Curve the under collar to get the extra length. 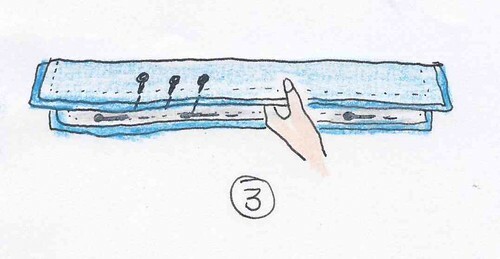 Pin the layers together along the outer edge and stop at 5 cm from each corner. Bend the ends of the collar and finish to pin the edges together. 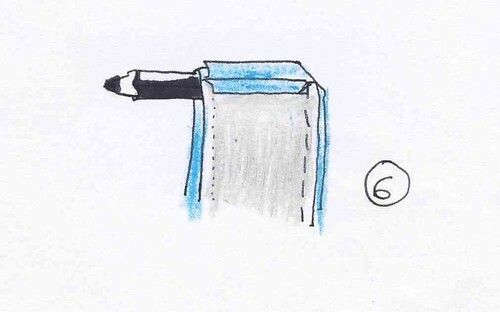 Open seams with a wooden pencil before ironing. This allows you to have neat edges. 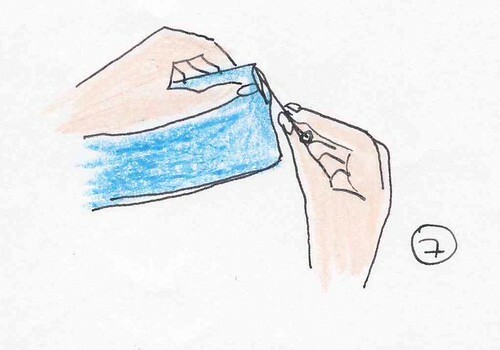 Turn the collar on the right side and get out the corners not pushing from the inside but gently pulling out with a pin. Your collar is now ready for sewing and you can breathe normally. 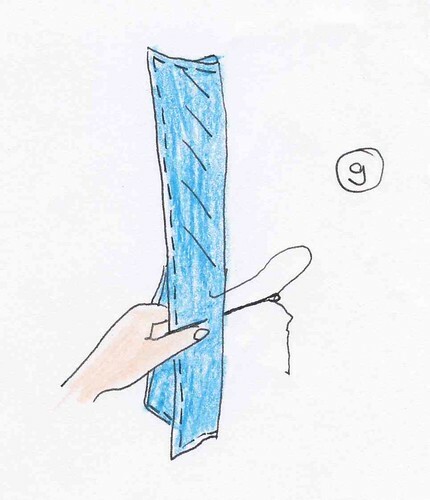 The steps outlined above are taken from the book “Burda: a practical sewing guide” that I found complete and with nice drawings. But not as pretty as your finished collar, isn’t it? This entry was posted in Tutorials and tagged collar, sewing tutorial. Am impressed and inspired with your tutorials.